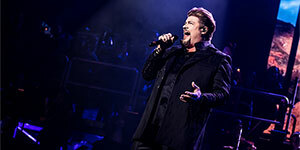 Get ready to rock at State Theatre New Jersey with the members of Rocktopia on Sunday, May 5! 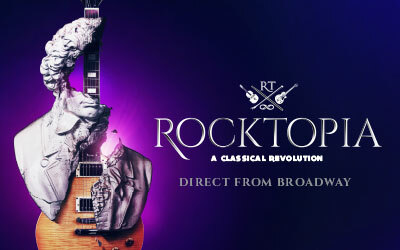 Rocktopia is a show in which the worlds of classical music and classic rock collide. 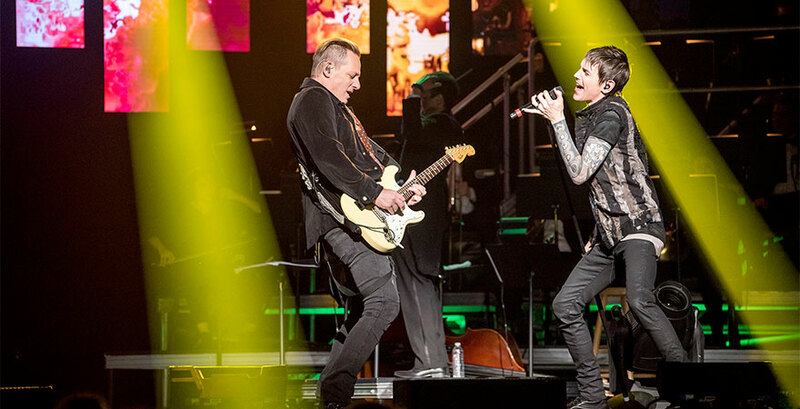 Rocktopia features music from composers such as Mozart, Beethoven, and Strauss as well as hits from rock giants like Led Zeppelin, Journey, and Queen. The musical fusion of these composers and rock giants, mashing up and collaborating their music is what makes up this electrifying show. Rocktopia consists of a five piece rock band, 20 piece orchestra, 30 member choir, and an assortment of accomplished musicians and vocalists. The show was created by Rob Evan and Randall Craig Fleischer. Before the creation of Rocktopia, Evan participated in a multitude of Broadway shows including Jekyll & Hyde, Little Shop of Horros, and Les Misérables. In addition to Evan's Broadway credentials, he is also a member of the Trans Siberian Orchestra. Fleischer has conducted for many prestigious orchestras such as Los Angeles Philharmonic, Seattle Symphony, Philadelphia Chamber Orchestra, and many more. Given their backgrounds in performing and music, not only are they are both creators of this production, but Fleischer is the maestro of Rocktopia, and Evan is one of the vocalists. Evan came up with the idea of combining two very different music generes together, but realized that if the show were to come out the way he wanted it to, this had to be more than a one man job. Once Evan and Fleischer teamed up, the two shared a vision, and brought their vision of melding classical music and rock and roll to life by putting together what is now Rocktopia. Join us at State Theatre New Jersey to experience the fusion of classic rock and classical music at Rocktopia on Sunday, May 5 at 7:30pm!